Check out the photos at right of actual Blurb books I've made and be sure to check out the links to my full in-depth reviews below! 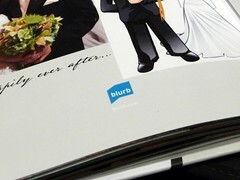 Convert your Blurb book to an ebook today! Blurb was founded in 2004 and is headquartered in the San Francisco Bay area. Blurb’s BookSmart software is available for Mac and for PC. You download the software to your computer and build your book offline. When you complete your book, you upload it to the website. 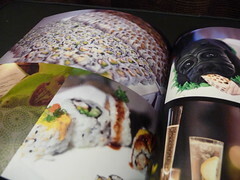 Blurb’s BookSmart software allows for complete customization of your photo book. Blurb allows for a full-page bleed on the front cover and back cover, and titling on the spine, printed directly on the hard cover surface for complete customization of the exterior of the book. The cover is matte which means that it doesn’t show fingerprints and has more of a “real book” look to it. This option is known as the ImageWrap. Other hardcover options include a dust jacket. A standout for Blurb’s software is the ability to create your own templates or alter the provided templates, and save your custom templates for use in future books of the same size. You can also do a two-page spread (a single photo stretched over two pages) and also place your photo as background for the template. The software is pretty intuitive and flows smoothly. Another less common feature of Blurb's is the ability to accept PDF files for upload into a book. Look here for a detailed step-by-step tutorial on how to create customizable templates in Blurb. 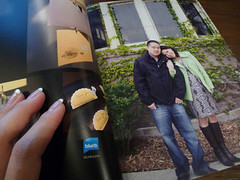 Blurb’s print quality is very good but in my experience, not quite as sharp as MyPublisher’s. Blurb’s premium paper however feels heavier than MyPublisher’s paper (when compared to MyPublisher’s Classic photo book), but I’ve never ordered the regular paper, so I can’t say firsthand how that compares. (UPDATE: Check out my Blurb paper comparison review Blurb offers two types of premium papers in lustre or matte finish and two newer ProLine papers in addition to the standard paper. Blurb's photo book prices are very reasonable. It used to be the case that additional pages were priced in groups of pages, but since early March 2013 Blurb changed to a per page pricing structure which is more typical of other companies. According to Blurb 80% of the most popular book types would drop in price or stay the same, but with ProLine paper upgrades increasing in price. Another notable feature is the ability to share and sell your book online. Blurb allows you to set your own price and keep 100% of the markup and has an easy to navigate and visually appealing bookstore where you can preview and buy authors’ creations. Blurb now has more paper options including two ProLine papers, one with a matte textured surface (Uncoated) and one with a pearlescent finish (Pearl Photo). New endpapers and other upgrades have also been added. Volume discounts start with just 10 books. At higher quantities, Blurb also offers order fulfillment, special enhancements such as foil stamping, custom sizes and traditional offset printing. Don't forget to check the main Photobook Deals page for all of today's deals! Bookmark that page or fan me on Facebook and you won't miss out on the latest coupon codes! Save money with the latest Blurb coupons and deals, or see if there are any Blurb groupons. Apr 26, 2015: Blurb Mother's Day GIVEAWAY Winners Announced! Apr 13, 2015: Blurb Mother's Day GIVEAWAY $300 in prizes Ends 4/20/15 Plus Exclusive Blurb Coupon Code! 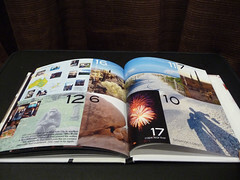 Dec 31, 2013: Year In Review Photo Books - Happy New Year! Paper standard - 80 lb. matte; premium - 100 lb. matte or lustre paper; ProLine 100 and 140 lb. 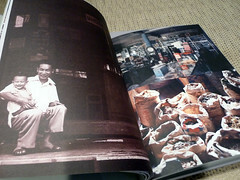 Thinking about designing a photobook on Blurb? 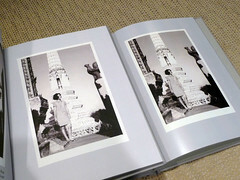 You can view a detailed chart of every Blurb photo book, including sizes and pricing. 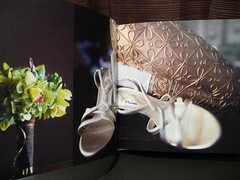 See the full list of Blurb photo books.